Unfortunately, dog diarrhea is something all doggie parents have to deal with at some point or another. 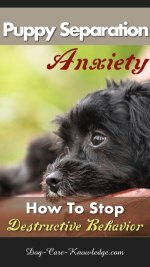 It can be stressful for both you and your best friend but knowing what to do when it does happen, will relieve some of the stress. And, by taking the rights steps immediately you can help your dog get better in no time. 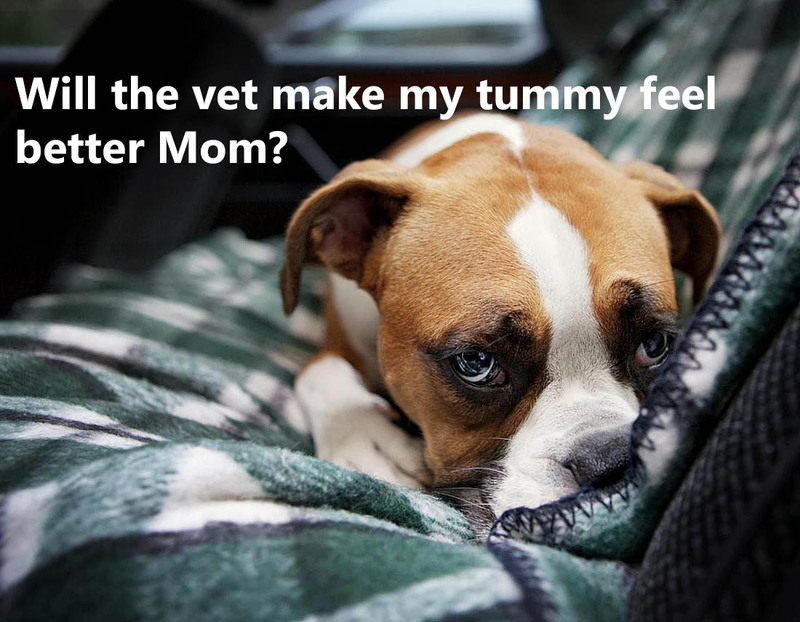 Obviously, when your pup has an upset stomach it's always best to consult with a veterinarian. However, sometimes you may not have the time to visit the vet or it might happen late at night when your regular vet is not available. Additionally, with most diarrhea problems you need to react quickly by helping your dog to prevent any needless discomfort, not to mention reducing the mess!! Here are some things you can do to do manage dog diarrhea quickly and make your pup healthy again. Let's start by stating the obvious, you can recognize diarrhea by visible loose stool. This can range from just being mushy poo to completely watery stools to anything in-between. You'll usually see an increase in frequency too. However, dog diarrhea could also be accompanied by stomach pain, weight loss, blood in stools, appetite loss and vomiting. 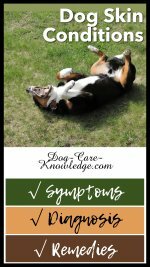 If any of these symptoms are present, then it's vital that you consult with your vet. Again, if your dog has chronic diarrhea, then a trip to your veterinarian is definitely in order. When your dog has diarrhea problems, it’s generally a good idea to avoid feeding her for at least 12 hours. In some cases dogs will refuse to eat and fast themselves - my dog Ava always does this, so I usually know when she has an upset stomach! In any case, avoid giving food to your dog for 6 to 12 hours - assuming she doesn’t have any other health issues that is. Normally this just means skipping one meal if your dog is fed twice a day. On the other hand, if your dog is old or small, you can give her small portions of honey to lick each hour. After this period has passed, if your dog is having less diarrhea or it has stopped completely, try giving her small teaspoons of water gradually. For bigger dogs you can start with cups. If at all possible, offer them mineral water at this point to reduce the risk of potential bacteria issues. Keep your dog on small doses of water for another six hours, then start re-introducing food but make sure it's a bland diet. You can start feeding your dog again if she hasn’t vomited or had diarrhea in the past 12 hours, but this still doesn’t mean that everything is OK. You need to make sure that the diarrhea doesn’t come back. If you just reintroduce your dog's regular food, chances are the diarrhea will come right back. It’s generally good to start with something bland, such as boiled chicken without skin or bones. You can also offer boiled rice with yoghurt and even a bit of pumpkin. Yoghurt has natural probiotic capabilities and it can help restore the gut health of your pet. Pumpkin is a natural fiber for dogs that works wonders for resolving diarrhea as well as constipation. Small dogs (less than 15 lbs) feed 1 ½ cups over the course of the day broken into 3 or 4 meals. Medium dogs 16 - 50 lbs) feed 4 cups, over the course of the day broken into 3 or 4 meals. Large dogs (50+ lbs) feed 6-8 cups, over the course of the day broken into 3 or 4 meals. Note: The total amount fed is over the course of the day, NOT each meal. For instance, a medium dog weighing 50lbs might get 1 cup of food, 4 times per day. Total for the day would be 4 cups of food. The bland diet should be fed for 2 -3 days with no treats or other food sources until stools are firm. Having said that, there is a way to supplement this bland diet with treats, more on that here. Assuming you're seeing nice firm stools, you can start to reintroduce your dog's regular food but need to do so gradually. 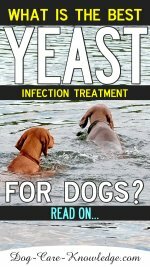 This is often where many dog owners see a return of the diarrhea and it's usually due to going too fast or giving your dog treats. So, for that reason, I'm going to share with you both the generally accepted normal way of reintroducing your dog's diet gradually, as well as the way I have to do it with my dog Ava. Ava has an incredibly sensitive stomach so the normal way of reintroducing her diet never works for her but we've developed our own special way of what works for Ava. If you see a loose stool at any time, do not increase regular food but stay at the combination that works for an additional day. 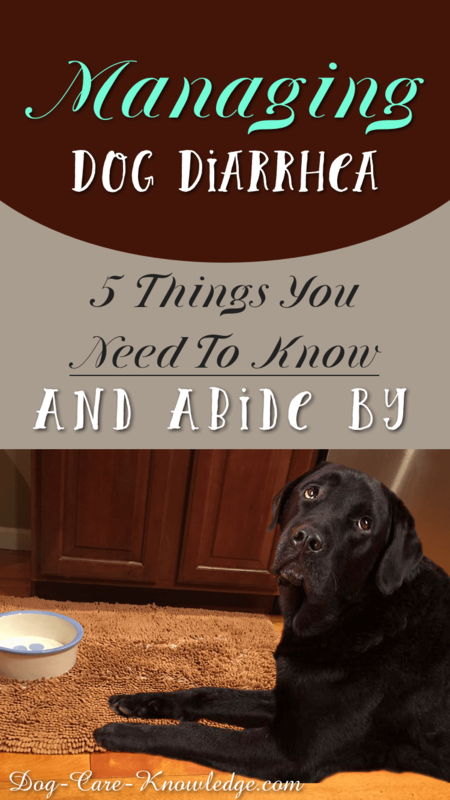 If you find that your dog gets diarrhea every time you try to increase the food you may want to try the second method for dogs with a sensitive stomach. When dog's have a sensitive stomach, or if you find the stools become loose each time you increase their regular food, then you have to go even slower. I've found the best way to do this is by making the increases to only one meal per day instead of all meals. It's also easier if you break their food down into three meals per day. 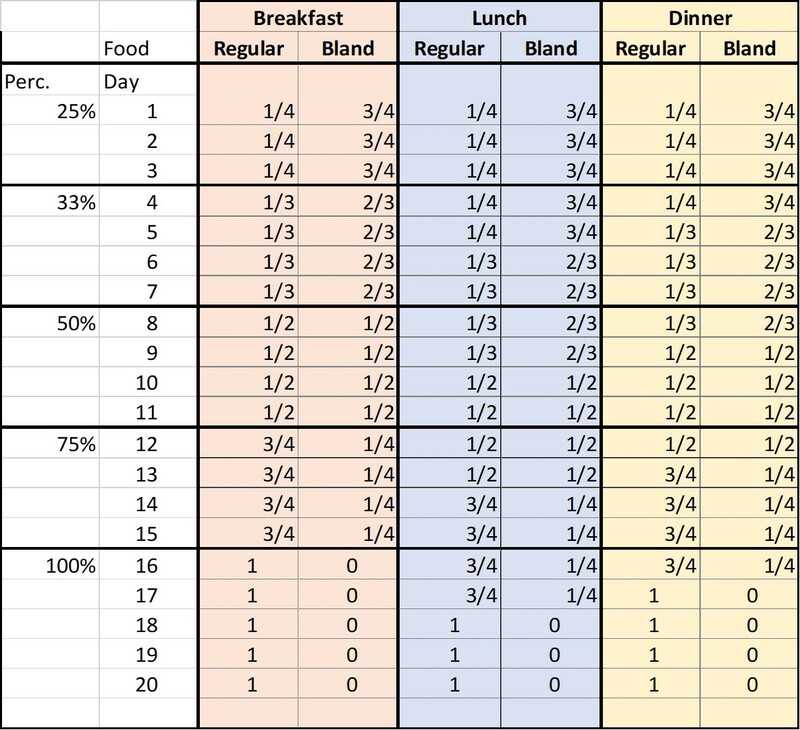 Below is a feeding chart of how to make the transition back to regular food.....very slowly. Probiotics for dogs are a great way of getting a dog's gut back to healthy and work wonders for dogs with sensitive stomachs in general. Probiotics can help populate the intestine of your dog with good bacteria that can help restore the natural balance in the digestive system. Additionally, probiotics can strengthen your dog's immune system which is why it’s always a good idea to give them probiotics even when they're not experiencing any gut problems. 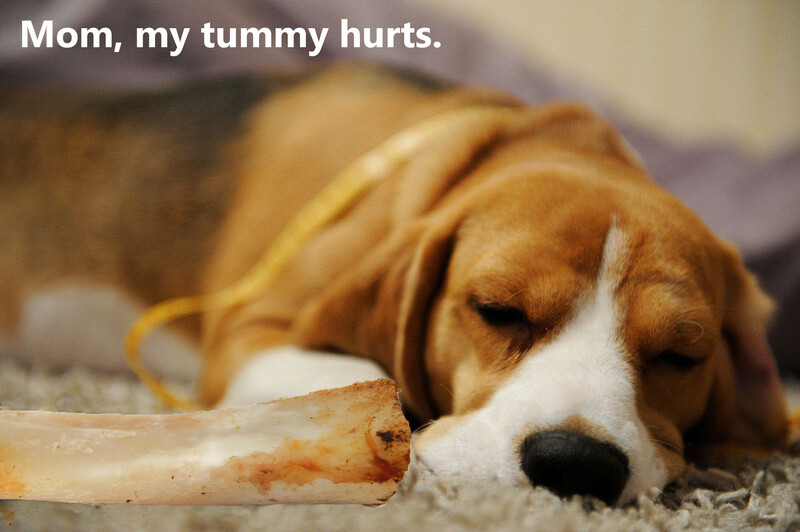 You can give your dog probiotics even if she's on antibiotics. 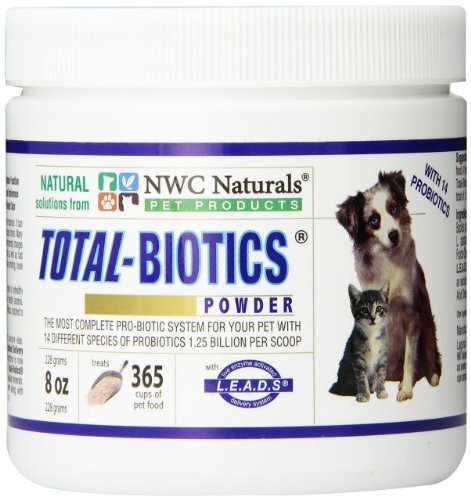 You just need to make sure that you don’t give your dog both at the same time as the probiotics will be destroyed by the antibiotics. Just ensure there is a fair amount of time between the doses. Hopefully these five steps will have your dog well on the road towards recovery. However, If you notice that your dog's diarrhea is not slowing down or that your dog is vomiting, make sure that you contact your vet as soon as possible. Also, if your dog has any other permanent health conditions, make sure to consult your vet before doing anything else.